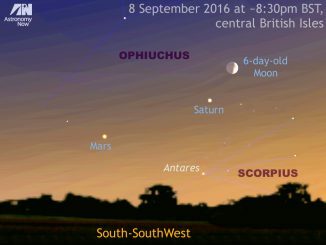 This graphic depicts the east-southeast aspect as seen from the centre of the British Isles one hour before sunrise on Friday, 16 October. The view is 60 degrees wide, or three times the span of an outstretched hand at arm’s length. Dazzling magnitude -4.1 Venus is hard to miss even in the growing twilight, while the close pairing of Mars and Jupiter (0.8-degree separation) lies almost 8 degrees — slightly greater than a 7x binocular field — to Venus’ lower left. Magnitude -0.3 Mercury, at greatest westerly elongation from the Sun on 16 October, lies low in the east — its best Northern Hemisphere showing of the year. AN graphic by Ade Ashford. In an earlier web story, I wrote about the pre-dawn gathering of naked-eye planets in the eastern sky. First it was Venus, Mars and Jupiter in the constellation Leo — plus, around 9-10 October, the Moon — then it was Mercury‘s turn to emerge from the dawn twilight. In the small hours of Friday, 16 October, Mercury attains its greatest westerly elongation of 18.1 degrees from the Sun. For those of you in the UK with a flat, unobscured eastern horizon and willing to get up an hour before sunrise (our Almanac will provide you with all the information you need), this is your best opportunity to see Mercury during 2015. At this time (~6:25am BST in London; ~6:45am BST in Edinburgh) the magnitude -0.3 planet will lie about 7 degrees above the eastern horizon. While the seeing conditions this low to the horizon will be too poor to see it clearly, Mercury’s disc spans about 7 arcseconds (one quarter the current size of Venus, 28 degrees away to Mercury’s upper right) and it will be half illuminated — like a miniature last quarter Moon. Experienced observers with medium-sized GoTo telescopes or instruments on driven equatorial mounts can follow Mercury past sunrise and track it higher into the daylight sky where the planet’s phase will be better seen. However, should you choose to do this, please take every precaution NOT to accidentally observe the Sun just a span-and-a-half of an outstretched hand at arm’s length away. And don’t forget to cap your telescope’s finder whenever the Sun is above the horizon, too. For naked eye and binocular users, the only option (and the safest) is to look for Mercury before sunrise. Although the innermost planet will draw closer to the Sun after 16 October, the viewing window extends for almost another week. For example, while Mercury rises 1h 50m before the Sun on 16 October as seen from the heart of the UK, even by 22 October it is still rising 1h 42m before sunrise from the centre of the British Isles. 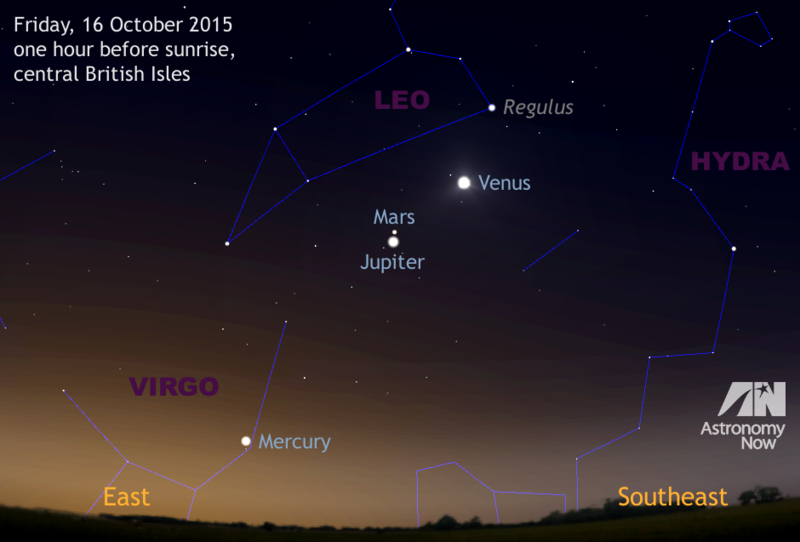 You can find out more about observing Mercury and the morning planets in the October edition of Astronomy Now in addition to a full guide to the night sky. 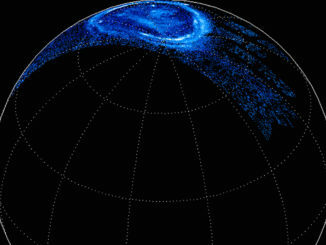 Scientists on NASA’s Juno mission have observed massive amounts of energy swirling over Jupiter’s polar regions that contribute to the giant planet’s powerful aurora – only not in ways the researchers expected. NASA’s Juno spacecraft is barreling toward a rendezvous with Jupiter after a 2.8 billion kilometre (1.7-billion-mile), five-year trip from planet Earth. 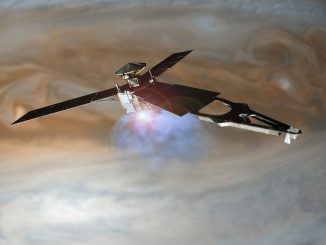 The research probe’s main engine will ignite for 35 minutes to maneuver Juno into orbit, and engineers expect to receive confirmation of burn’s start at 0318 GMT Tuesday. A hundred days have passed since Mars was closest to Earth this year, but the Red Planet can still be seen in the early evening sky close to the jewel of the solar system, Saturn. If you wish to identify this pair of planets, then a convenient celestial marker in the form of the waxing crescent Moon passes by on the evenings of 8—9 September in the UK and Western Europe.